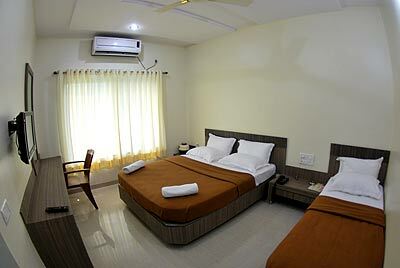 HOTEL SHRI SAI MURLI arranges for you comfortable accommodation. With us, you can be sure of cleanliness, proper ventilation and beautiful dÃ©cor. We make available the best in the industry hospitality services and take care of all your queries and needs with prompt replies and arrangements. We are a reckoned Hotel as well as Tour Operator from Shirdi (Maharashtra), providing accommodation for couples, families, and groups. We arrange all kinds of small rooms to large rooms, in which we ensure comfortable stay with all the facilities from hot water to timely cleanups and arrangements of things.